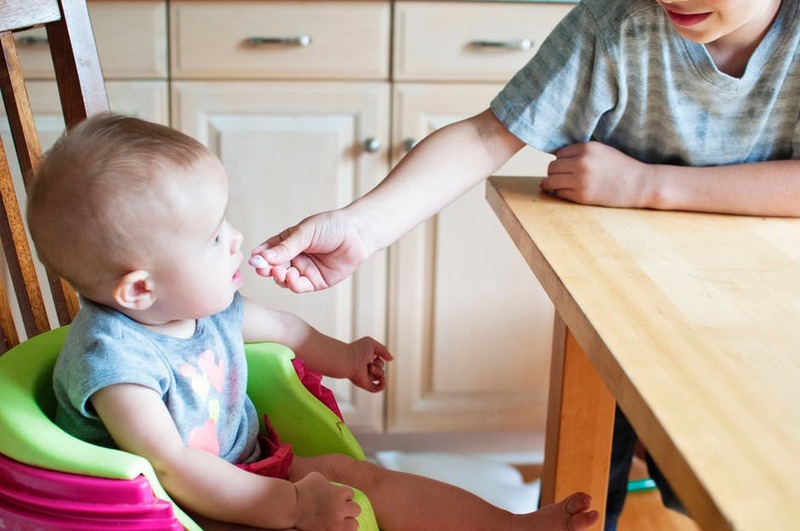 Feeding a toddler is both a challenging and exciting moment for any parent. Once you are done with introducing solid food, you are faced with the dilemma what shall I cook for the kid today. There are several tips and tricks that can turn mealtime and cooking for a toddler into enjoyable moments, at least most of the time. While knowing the basics is important, it is also essential to choose the right high chair that will facilitate feeding and independent eating. Choosing the right bowls, cups, and cutlery is also critical if you want to build healthy eating habits. Below, you can find useful information and tips that can help you feed your toddler and encourage them to be more independent. Encourage self-feeding by providing suitable food. You can offer your toddler fruit and vegetables cut into strips so that they can hold them easily. With time, you can introduce a spoon and show them how to use it. Be patient as it takes time for these skills to develop. Remain calm while your toddler is eating. This is a bit of a challenge but try to remain calm and encouraging throughout meal time. Even if some of the food ends on the floor or most of it, let’s be honest, try not to get angry. Set a good example. It is a good idea to cook the same meal for the entire family and to show your toddler that you are enjoying it. At this age, kids are good at copying so there is a high chance that they will follow your example and eat their meal without fuss. Turn mealtime into a nice and relaxing experience. Whenever possible sit and eat with your toddler. Turn off the TV and clear toys or other distractions away, which includes your phone or other mobile devices. Try to chat and discuss food and its different tastes or shapes. Offer healthy snacks. Try to teach your toddler to eat healthy by offering snacks such as fruit salad, yogurt, cubes of cheese, rice pudding. Remember that each child is an individual so do not expect yours to have the same eating habits as that of a friend or relative. Even siblings differ a lot. Besides, toddlers often change their mind and love certain food one day just to spill it on the next. Note, that it takes time to understand if your toddler loves or hates something. Experts recommend offering a certain type of food at least 7 times to make sure that it is really resented. But once you get to know what they prefer, it will be easier to offer them a healthy meal that they will love. Basic metal or plastic frame high chair – it is a simple construction that in most of the cases is quite light. it is easy to clean and move around the house but may not be that comfortable for the parent or the kid because it lacks features as serious cushioning or options to adjust the chair height. Full-features high chair – this is an upgraded version of the basic model. It may contain different extras such as an additional or adjustable tray, adjustable height, wheels for easier movement. Generally, these high chairs are more durable and preferred by both parents and kids. Wooden high chair – it has a sleek design but is not that practical. It may be more difficult to clean it. Convertible high chair – it can turn into a booster seat or a kid-sized chair. Basically, the high chair grows with your kid and can be used longer. Portable or hook on high chairs – they are very useful if you travel a lot as you can take them with you. They are practical as they don’t take much space and are usually easy to clean. You can have a look at the Portable Baby Chair Pouch that we offer. It is made of 100% cotton and easily fits in your handbag. You can attach it to any chair and even to yourself and feed your baby easily. When you are selecting the high chair, keep in mind that it should be safe for your kid. The fashionable design and extras are not that important as reliable harnesses that buckle your kid in the chair and prevent them from falling. Make sure that the high chair is also stable enough and won’t topple over. If it features wheels, they need to have a stop as well. Bibs are an essential accessory for feeding time. You can stock on many fabric ones and keep washing them or you can opt for the waterproof silicone bibs that are so easy to use and clean. 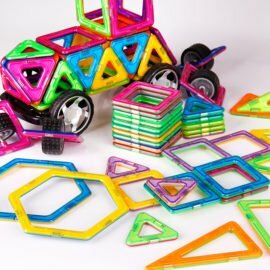 Made of soft silicone in great bright colors, they are loved by toddlers and parents alike. The waterproof silicone bibs can be cleaned using a wet wipe or rinsed under the water in the sink, so it is not necessary to look for them in the laundry anymore. The bib is as clean as new only in seconds and ready to be used again. It also comes with a crumb catcher which makes the mess less. The silicone bibs are child-safe approved and made of BPA-free non-toxic materials. 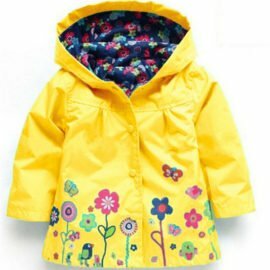 Some of their main features are: adjustable neck closure via an easy clasp, built-in crumb catcher to protect the clothes of the kid, easy to clean even in a dishwasher. The bibs come in four bright colors – blue, pink, yellow, and green. A heat sensing spoon is a useful piece of cutlery that can warn you if your toddler’s food is too hot. It is perfect for those who need to reheat the food in a microwave or otherwise. 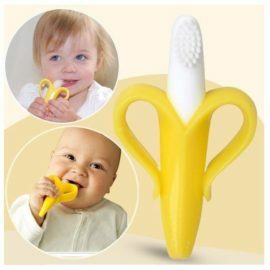 The spoon is suitable for infants too and can be used when introducing solid food. The spoon is made of BPA-free materials and comes with an extra-long handle so that you can easily reach into jars or deeper pots. In order to ease parents, these feeding spoons are dishwasher and sterilizer safe and can also be used in the microwave. If you want to clean less mess after feeding your toddler, you need a clever assistant during their mealtime. The Smiley Mat is both a plate and serving mat at the same time and that spares you some dish washing as well. The mat suctions to any flat surface and your toddler will find it difficult to lift it up and spill their food. The mat is made of BPA-free, food-grade silicone and has three separated chambers so you can serve three different types of food at the same time. You can use the mat in the oven and in the microwave and it is dishwasher-safe and very easy to clean. The mat comes in an attractive design and in several funny colors – blue, green, orange, pink, yellow, and red. Toddlers love it and it helps promote self-feeding and the development of fine motor skills. Now, this is something worth trying. A revolutionary anti-spill bowl, which was designed by parents for parents to help them get rid of the mess at mealtime. The bowl incorporates innovative 360-degree gyro technology to keep the content safe. These are actually two bowls in one and the inner one rotates so that the content can’t spill. Children love the bowl and can walk around the house with it without causing a mess. The anti-spill bowl is made of BPA-free, food-grade-materials, which are safe for children. It can also be washed in a dishwasher. The bowl is suitable not only for home but can be taken in the car or even used as a take-away tool for the kindergarten meals of your kid. It comes in three great colors – green, blue, pink, and you can choose the favorite one of your toddler. Put an end to buying sippy cups once and for all by adding these silicone sippy cup lids to your household. They give you the freedom to turn any glass, cup or vessel that you already own into a sippy cup. The lids are made of 100% food-grade silicone and are BPA, Phthalate, and PVC free, which makes them absolutely safe for kids. They can be washed in a dishwasher or boiled for sterilization as well. The lids are recommended for infants aged 9 months and up. You can control the material from which your kid drinks water as you can turn any glass or cup into a sippy cup with the help of the lids. The silicone lids are spill-proof and you can relax that your child drinks from a real cup but there is no possibility of leakage. The lid stretches and fits most of the vessels you may have at home – it is perfect for diameter 2.5″ – 3.75″. You need to wash well the lids prior to using them for the first time and then after each usage. You can use the dishwasher or hand wash them with hot soapy water. They can also be boiled for sterilization but are not to be used in a microwave. The lids come in 5 colors – blue, red, yellow, green, and orange. The silicone sippy cup lids are also environmentally friendly as you get to use the cups you already have and you do not buy and dispose of more cups. These are just a few tips and tricks that can help you have fun during meal time. Remember that toddlers are curious and love to play with food but they are also stubborn so may resist many of your attempts to offer them something new. Be patient and stay calm and don’t forget that this period will soon be over.